Give your prints new purpose. 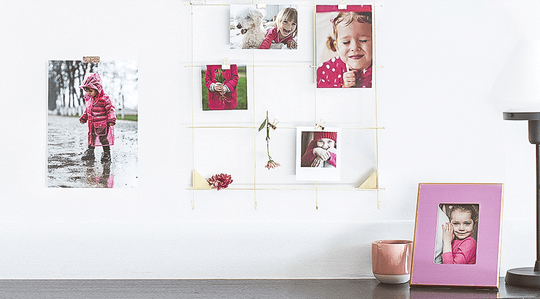 Order photo prints online, anytime from your computer, tablet or mobile. 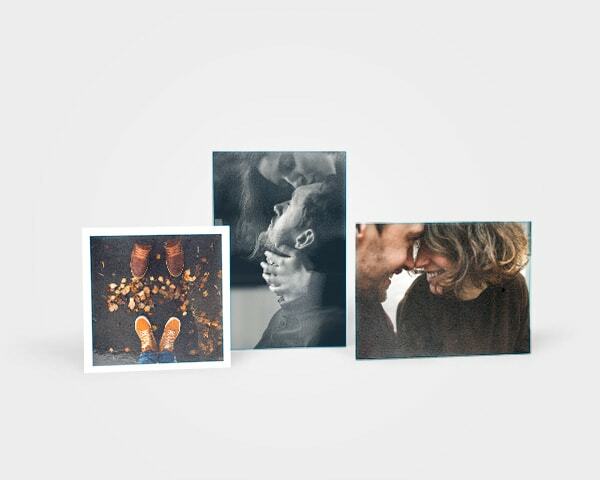 Your best moments printed on thick, premium paper, in your choice of gloss or matt. Regardless of the quantity you order, you’ll only ever pay one standard delivery price. Perfect for your favourite moments and ideal as wall decoration! Coloured retro prints, exclusive for smartphone. White borders, matt or gloss, your choice. Give your prints a professional look by adding a clean white border. The border provides greater contrast, creating a more striking effect. 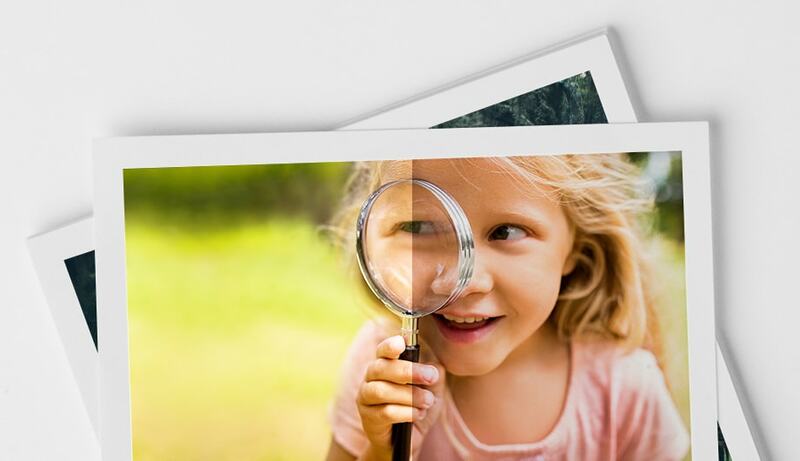 A glossy finish adds extra shine, while matt highlights the natural composition of your photos prints. With a matt finish there’s less reflection, so it’s perfect for putting photos on the wall. We automatically optimise your images. This ensures your photos are developed as clearly as possible, every time. We recommend disabling this option if you’ve already enhanced your image with other software or apps. Exclusive to our smartphone app. 29 colours. A bunch of fonts. Your retro prints just got even better. Once you order, we aim to deliver your photo prints within 4-6 working days. The shipping costs are always £ 2.99 regardless of how many prints you order. Order your photo prints now and enjoy superior quality, loads of options, and transparent prices. Although looking at photos on your laptop or smartphone is quick and convenient, there is nothing like holding the actual item in your hand or mounting it on your wall. Whether you're decorating your home or creating a display, we cover all of your photo printing needs. Not only does our suite of professional photo printing tools guarantee a flawless finish and pin-sharp detail, we're also very versatile. 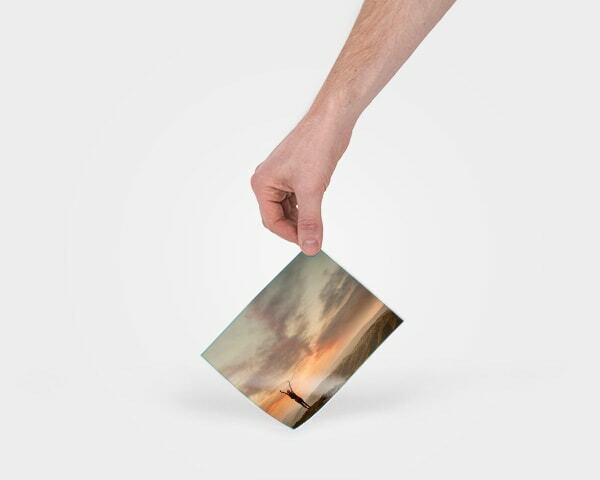 You can print as many or as few pictures as you want. The digital photo printing process itself is straightforward and intuitive, and the results speak for themselves. Our state of the art printing techniques endow digital photos with strong, natural colours and an impressive level of contrast. 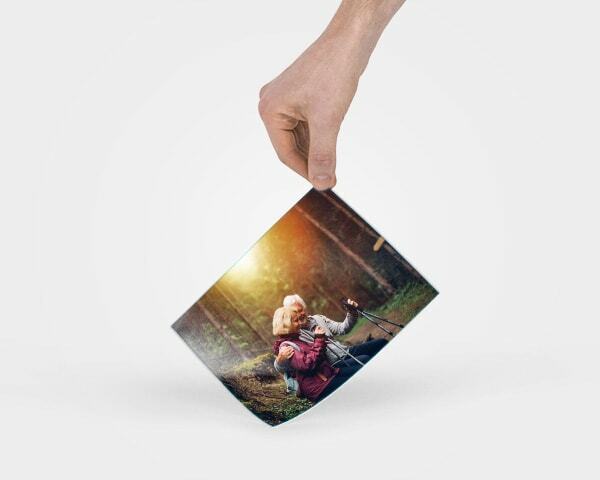 Try us now to find out just how easy it is to print photos online. At bonusprint, you can get photos printed in a selection of sizes suitable for desks and mantelpieces as well as walls. Premium photo print sizes come in two ranges, standard (5.4 x 4 and 6 x 4 inches) or large (6.7 x 5 and 7.1 x 5 inches). And if you can't settle on just one stand-out image, you can always arrange a collage of several different photos in one print. In addition, we can enlarge photos so that they make an even more powerful impression. 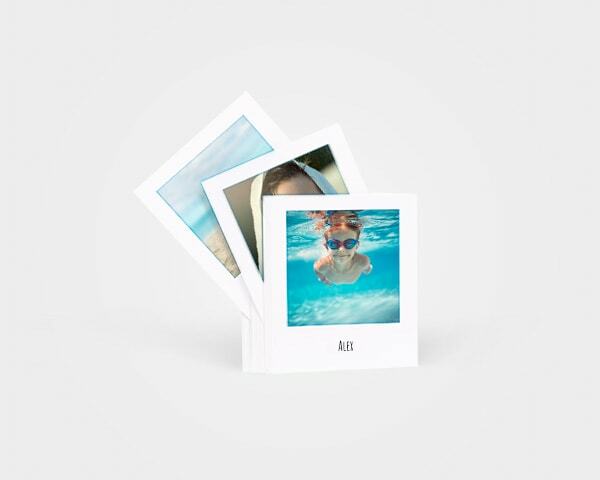 For a tighter, more intimate format, we offer a range of square photo prints. 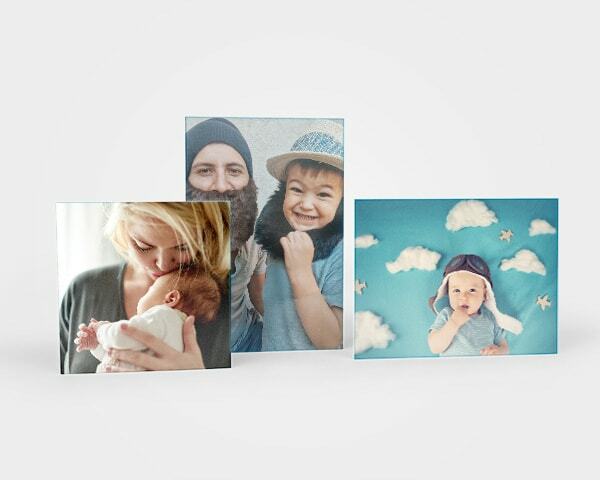 Our 4 x 4 and 5 x 5 inch photo prints are a good option for favourite snapshots of friends and family. Combining the warmth of a candid moment caught on camera with the luxurious quality of our superior photo printing, you get the best of all worlds in one neat and tidy package. What is the secret of high quality photo printing? One of the most important ingredients is the paper, and ours is thick, heavy and durable. You'll see the results in the professional quality of our photo prints. Good quality photo prints such as ours have a sense of depth that comes from the contrast of lights and darks. The same is true of the nature of the colours you'll find in our photo prints, rich yet true to life. Our online photo printing services let you make the most of the pictures stored away on your computer or phone. To learn more about our picture printing services, check out our colourful retro prints and magnificent photo enlargements. And as well as premium prints, you can create wall art, calendars, cards and a host of other personalised items. It's all part of the photo service at bonusprint. One of the options we offer when you get photos printed is a choice of glossy or matte prints. 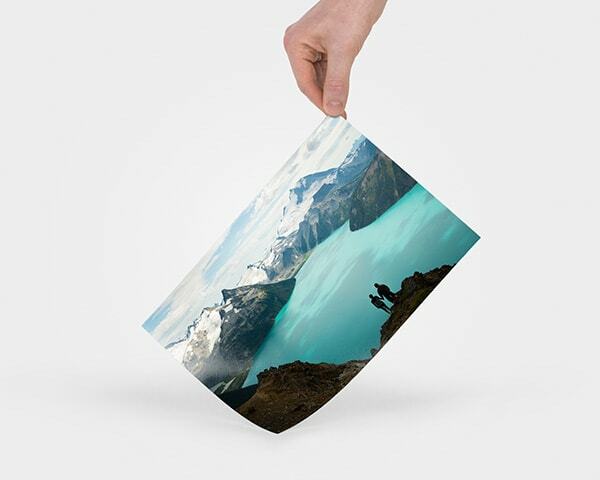 Matte finish photo prints have an almost three-dimensional look to them which is particularly stunning when applied to landscapes and dynamic scenes of action and adventure. As they're not prone to reflecting sunlight, they also function well as wall art. Meanwhile, glossy photo prints deliver a glamorous sheen which works well with weddings, studio portraits and compositions where the emphasis is upon beauty. But whether you order your photo prints matte or glossy, you can be sure they'll boast the same minute level of detail. As well as going directly to our website, you can also get photos printed via our smartphone app. Especially handy for those with a strong presence on social media, it allows you to print photos from Facebook and Instagram with a few swipes of your thumb – time to put your favourite selfies and profile pics down on paper. And exclusive to our app is our retro prints design which allows you to play with colours, fonts and text in a smart 4.8 x 4 inch format. 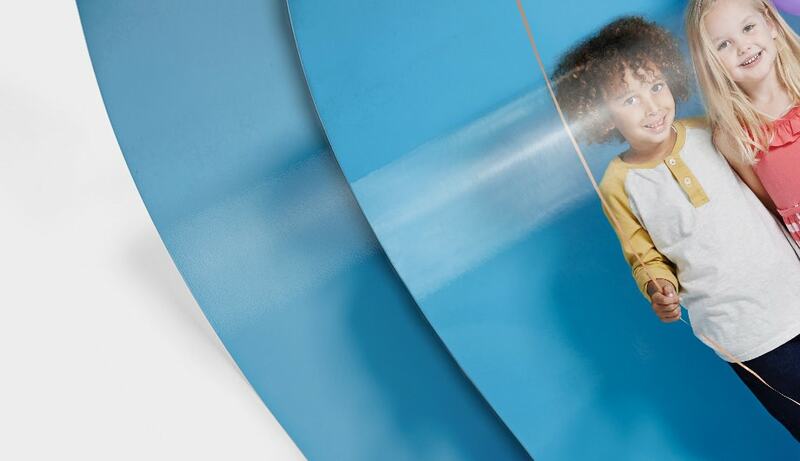 To add the finishing touches to your photo printing project, why not opt for a white border? A crisp border of pure white helps photos stand out from their surroundings and gives them a more intense feeling of contrast. It looks good in conjunction with a conventional frame or instead of one. If a photo is being handled and passed around, a border can also protect the image from being smeared with thumb prints. 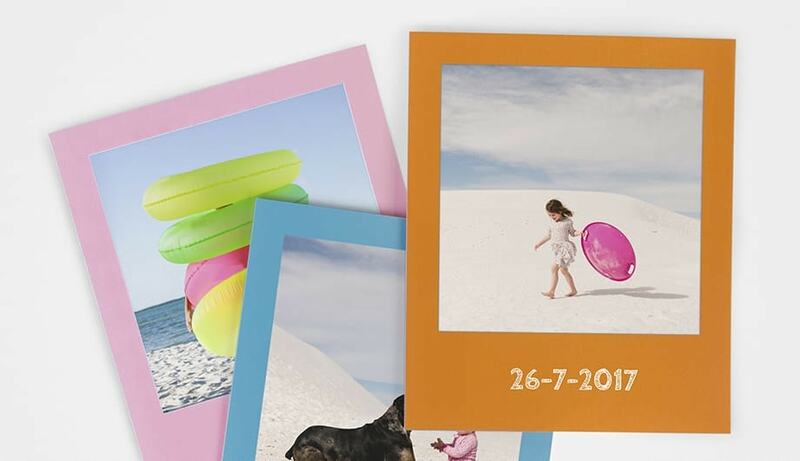 To print your photos with a white border, simply follow the online editing process step by step until you reach the extras options. 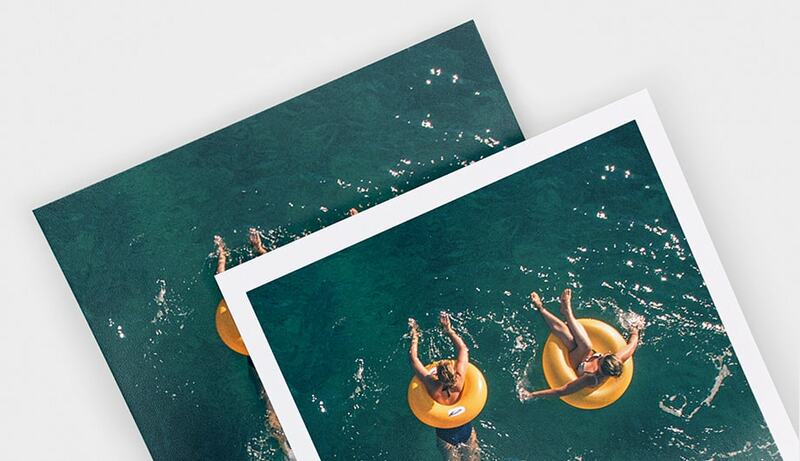 When you choose bonusprint, you'll soon discover that ordering photo prints online is not only simple and fast, but also fun and creatively rewarding as your work is brought to life in a more solid, long-lasting form. Whether you order one or two photo prints or a whole bundle, you'll incur only the same modest standard postage fee. And you'll only have to wait a few working days before the photo prints you bought online turn up on your doorstep. But however efficient and professional we are, we never forget that the main reason all of us preserve photos is because of the powerful emotions they convey. And that's why you're in such good hands when you buy photo prints from us. Great service and product. I received a voucher so only paid postage.